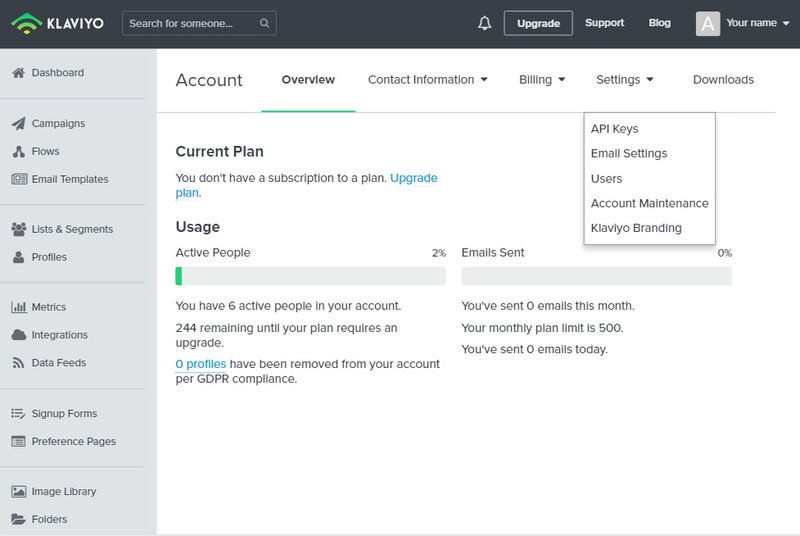 - Locate the Settings menu and click on "API Keys"
Paste the API Key previously copied from your Klaviyo Admin. 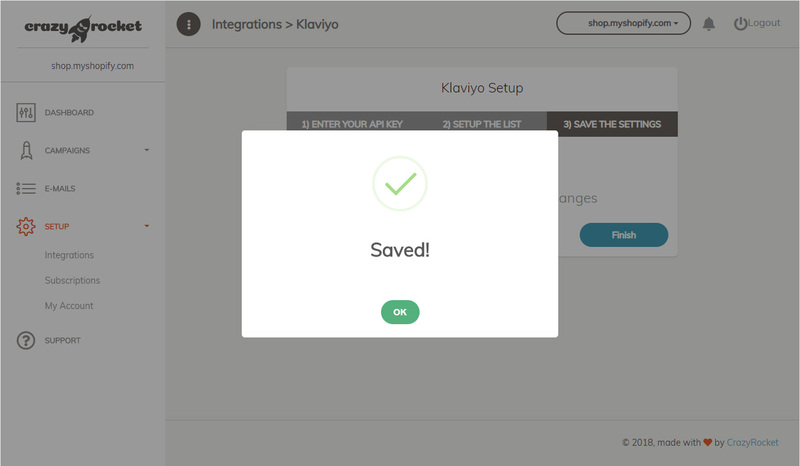 Open the campaign(s) you want to connect to the Klaviyo integration, go under the GLOBAL section and select Klaviyo on the integrations dropdown. Great! 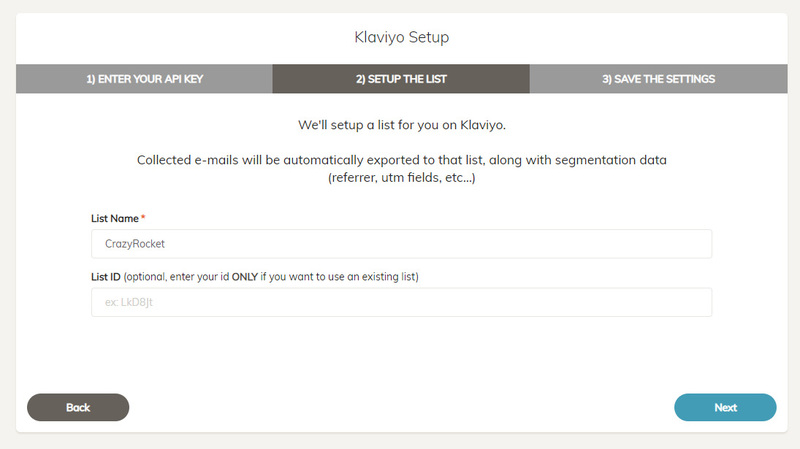 Klaviyo is now ready to receive the e-mails collected from CrazyRocket.